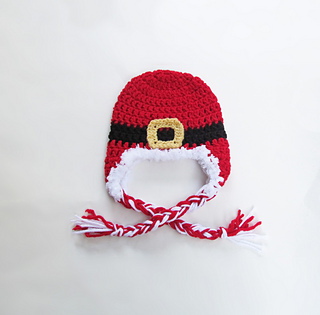 The santa and reindeer hat include instructions for all sizes (0-3 months through adult). Both hats also include separate instructions for a beanie hat as well as an earflap hat. 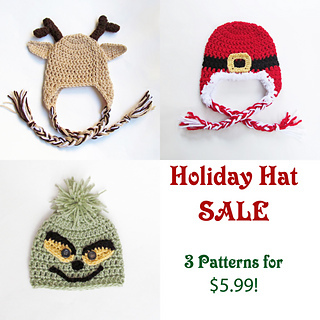 The little grinch hat includes instructions for sizes 0-3 months through 1-3 years. The grinch hat is a beanie hat (not an earflap). The pattern also includes a tutorial on how to make a yarn pom pom! Patterns have been tested and include many photos to guide you along the way. You are welcome to sell items made with this pattern, I just ask that you reference me as the designer and a link back to the pattern would be greatly appreciated!